The new NASCAR racing season has kicked into high gear with the Daytona 500, and some fans are already counting down to the Indianapolis 500 on Memorial Day weekend. 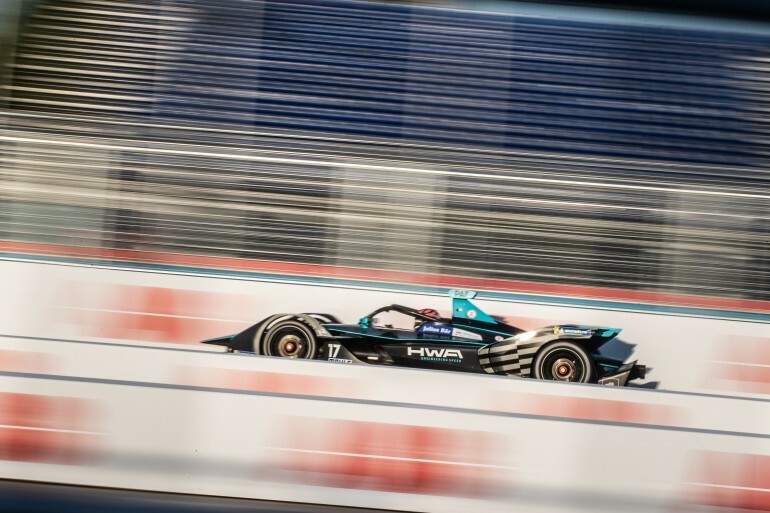 But look out: Coming up in the rearview mirror behind these well-established racing traditions is a relatively new circuit known as Formula E.
The "E" stands for the all-electric cars that run on international courses. Promoters are hoping the vehicles will redefine motorsports. 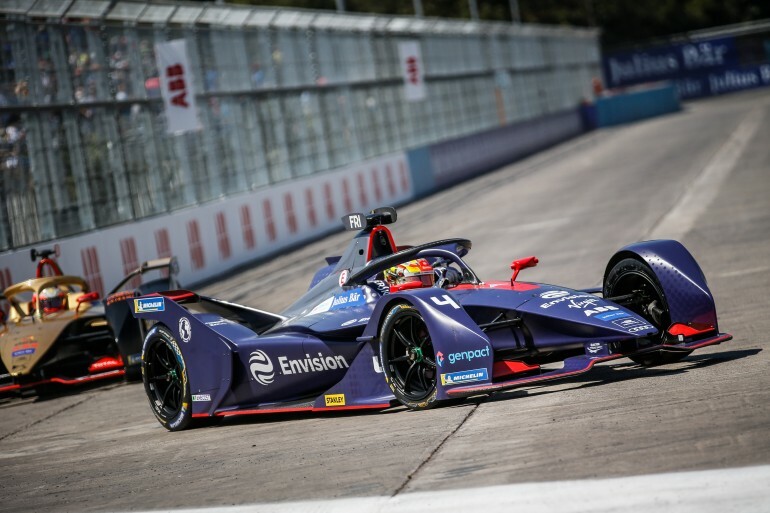 Formula E cars look something like Formula One or Indy cars, though the newest generation of Formula-E cars resemble the Batmobile more than anything else. From a dead stop, they can hit 60 mph in about 2.7 seconds. That's pretty competitive with the turbocharged V-6 rolling rockets of F1, which are generally reckoned to have the quickest acceleration in racing. But let’s face it -- for generations of race fans, it’s not just about the speed and the danger; it’s the sound. To many, it seems like a stretch that the whining shriek of electric cars could replace the thrum and roar of internal combustion as the signature sound of motor sports. "It’s a whine and a whoosh," says Sonoma Raceway CEO Steve Page. "That is a different sound, and you’ll probably need a younger generation to grow up with that." Sonoma Raceway has hosted all manner of motorsports. NASCAR still has a stop at Sonoma, but IndyCar just wasn’t profitable for the track, so Page gave up on it after last season. He can envision that slot one day being filled by Formula E, but like many, he wonders if cars that sound like electric drills can build a U.S. fan base. "That’s the big unknown," says Page. "One of the things about motor racing is that visceral appeal of the sound -- that sense of speed and vibration. And power." Bob Koveleski is betting on just that. At the Global Climate Summit in San Francisco last fall, he was showing off a sleek, white Formula-E car from the Mahindra Racing Team, where he is director of strategic partnerships. "This is a race to the future," he declares. "We go to cities around the world, cities that are conscientious about sustainable-renewable. And really, what we’re doing is promoting EVs. The FIA-sanctioned Formula E entrepreneurs build temporary street courses, usually right downtown, pulling in tech-savvy urban millennials to watch the races. There’s even a crowdsourcing element called "Fan Boost," in which race fans can vote to give their favorite drivers an extra jolt of electric power. Major automakers like Audi, Mercedes and Nissan are on board and have supplied most of the financial fuel so far. Ford recently announced that it’s eyeballing Formula E for the near future, citing the clear direction of personal transportation. The technology developed for the track will quickly find its way into dealer showrooms and the EVs Ford and others will be selling in years to come. Formula E has already built a globetrotting cachet, boasting races in a dozen cities from Switzerland to Saudi Arabia. So far, there is only one U.S. stop on the circuit: New York, in July. Sonoma seems like a natural fit, situated as it is in the high-tech mecca of the Bay Area. The track is also unusual in that it features hills, which would be a good test for electrics. But Formula E has so far chosen to snub traditional suburban race tracks, possibly part of its strategy to attract young urbanites, many of whom, somewhat ironically, don't drive. "The demographic is younger, they’re more high-tech," says Koveleski. "You’re not gonna get a guy who’s watching NASCAR to watch Formula E."
Watching Formula E does take some getting used to. Instead of turbo-boost and RPM, announcers talk about turning up the kilowatts. "I hear a lot of gearbox noise," says Max Martin, a race mechanic at Flying Lizard Motorsports, based at Sonoma Raceway. His comment seems like a sneer at the squeal of Formula E compared to the roar of the 10-cylinder Audi he was revving up in the shop. But at 28, Martin is not too set in his ways to be convinced. "I still like the raw power of the V-10s and the V-8s and the turbo cars," he says, "But it’s all racing. It's all got four wheels and a motor; it’s all good stuff." "In the beginning, everybody laughed at us," recalls Formula E pioneer Lucas di Grassi, in a promotional video. "Then they started criticizing, and now they join." So ... drivers, throw your switches?